One of two remaining original fire stations in Minneapolis now houses the headquarters of Station 19 Architects. Masonry is a sustainable, resilient material that can survive floods and fires. It is the oldest and most permanent building material, exuding a sense of permanence, longevity, quality, reliability and familiarity, yet it is forgiving and flexible. Many brick buildings that were built more than 100 years ago are continuing to fulfill their original purposes, while others have been adapted for new purposes. This article will discuss why gaining a better understanding of preservation and maintenance of older buildings is appropriate for every architect. This understanding can help architects anticipate potential issues and create better, more efficient designs. That knowledge can be carried over to the maintenance life cycle on newer buildings. 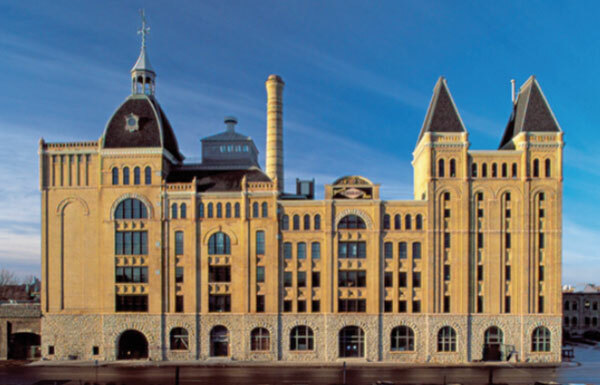 The Grain Belt Brew House in Minneapolis was renovated and redeveloped by RSP Architects in collaboration with Ryan Companies. Architects have the opportunity to help save the heritage and quality of that which is already built. 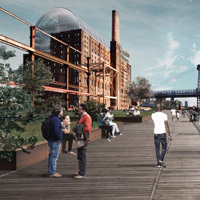 They have the chance to lead the way for adaptive reuse. One successful example of preserving a community’s heritage can be found in Minneapolis, Minn., along the Mississippi River corridor. The historic former Grain Belt Brew House has been brought back to life after sitting vacant for more than 20 years, and has served as a catalyst to the revitalization of northeast Minneapolis’ Arts District. The enchanting, elegant, castle-like structure now houses the headquarters for RSP Architects. In collaboration with Ryan Companies, RSP Architects renovated and redeveloped the space for multiple tenants, successfully remediating environmental issues such as asbestos, lead paint and other hazardous materials. The project won the National Preservation Award from the American Institute of Architects. Even at a cost of $20 million, the renovation was still much more cost-effective than what it would have cost to build new. 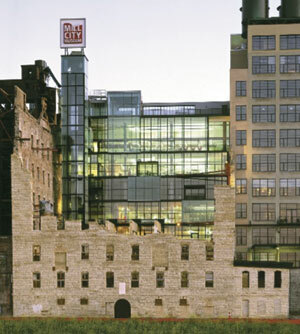 The Mill City Museum is an example of blending new design into old architecture. Another example of an architectural firm leading the way in preservation and reuse efforts is Station 19 Architects. 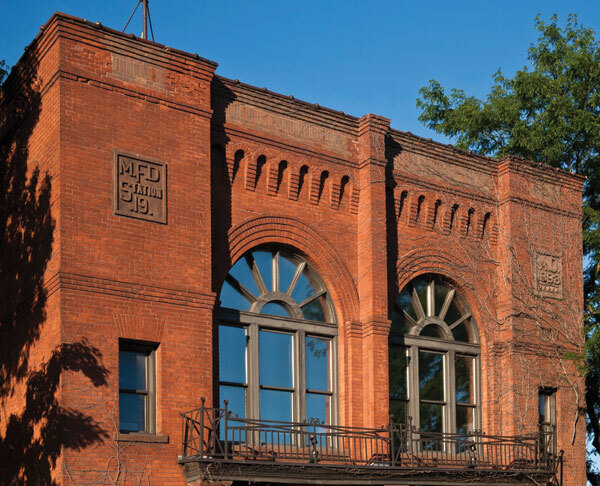 The firm’s studio for more than 40 years is housed in one of two remaining original fire stations in Minneapolis. Station 19 Architects was one of the first firms to reclaim an existing structure and then successfully restore and repurpose it for their own office. 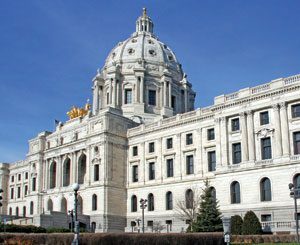 The building, located across from the stadium on the University of Minnesota campus, is on the National Historical Registry. History and culture are not the only things preserved when reusing and repurposing existing buildings. New construction, as well as demolishing and rebuilding, are both expensive. 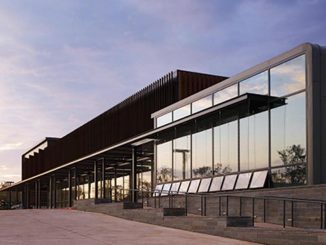 When a building is saved from the wrecking ball and successfully repurposed, the effect on the environment is lessened. Owners can also realize significant cost savings. For one thing, the cost of masonry construction is saved. The costs of new materials are cut. No material is sent to landfills. There are also funding opportunities for masonry preservation and rehabilitation of existing historic infrastructures, available from local and national preservation societies. Traditional architecture was innovative in its day. Very often, natural daylight and ventilation were integral to the design. Taking an existing infrastructure and blending it with the new fulfills the sustainable role of preservation while exploring new design opportunities. Ruin Courtyard, part of the old flourmill shell of the Washburn A Mill in Minneapolis, is now a popular event venue. 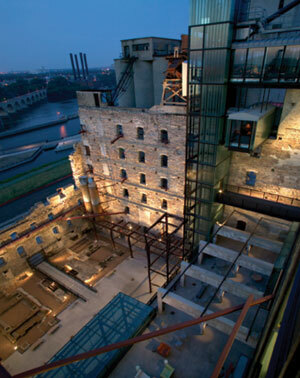 The Mill City Museum, located within the ruins of the National Historic Landmark Washburn A Mill in Minneapolis, is a prime example of successfully blending the old and new. Closed in the 1960s, the old flour mill had long been abandoned when it was nearly destroyed by a 1991 fire, leaving only a charred brick shell. 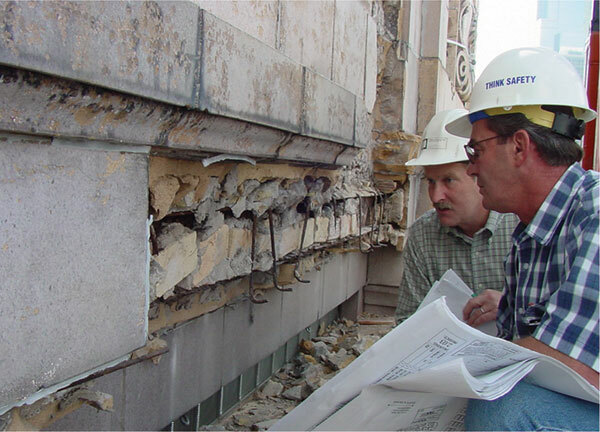 After the year 2000, the building was stabilized with steel reinforcement, new wall caps were put on to increase vertical load bearing, and flashing with a projected drip edge of 1 1/2–2 inches was installed to protect against water intrusion. Adaptive reuse is not reserved exclusively for 100-year-old buildings. Opportunities for restoration and renovation exist in newer structures as well. No matter the age of the building, however, it is critical to take time to understand the building before proceeding with any restoration or rehabilitation project. Masonry restoration often involves more than repointing. In fact, common problems are water and structural issues. A restoration contractor may need to be called in for an inspection. The investigation is a critical phase to ensure a successful project outcome. One must fully understand the interaction of the building elements, such as the building’s original use, age, type of construction, condition of joints, insulation, plumbing, moisture content of the walls, and much more. The required testing, availability of matching materials, cost and timeline must be identified. Detailed and complete documentation is vital. A knowledgeable restoration contractor can help conduct a thorough investigation of an old building and determine how best to restore and preserve it. Costly mistakes can arise from an incomplete investigation or incorrect conclusions drawn from the survey findings. That’s why it’s crucial to have a knowledgeable professional to interpret the technical information. If a thorough investigation is not done initially, it will cost more down the road. Consider the example from 2015 of a 22-story building in which two top units reported water infiltration. Just setting up the rigging and getting inspectors on the building cost around $6,000. The inspectors soon found out that every window had been installed with nails through the flashing. A shorter screw had been needed overall. The repairs included additional flashing, as well as a stone band in lieu of brick that could no longer be matched. In the end, the repair costs were $5 million. Each case is different and needs an expert’s experience. Know what you are dealing with. Maintenance is the most expensive part of a building over its life cycle. All building materials require some maintenance, though some not as much as others. Some buildings stand for more than 100 years, while others do not. The key is maintenance. Common problems with masonry include rust jacking/burst, stone spalling, efflorescence, chipping, cracking, peeling, crumbling, erosion, delamination and detachment. All of these have a root cause, which could range from leaking roofs/gutters or deteriorated flashing to improper flashing installation or weather exposure. 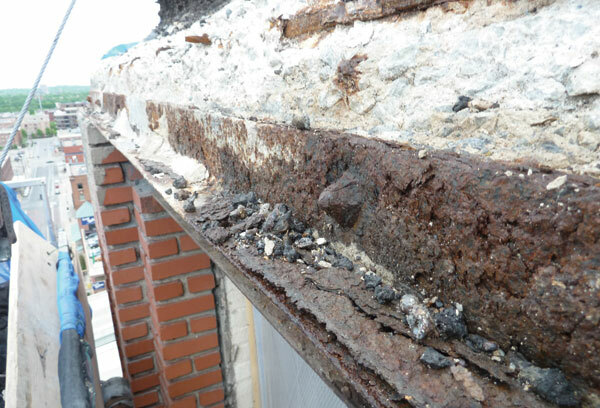 Rusted lintels on an old masonry building require careful replacement. Once any problems have been identified, the rule of thumb is to go with the least invasive treatment. Treatment might include washing surface efflorescence, adding movement joints and flashing, replacing rusted structural metal components, patching missing material, repointing, graffiti removal or surface consolidation (a process of injecting pressurized mortar/cement often integrated with a steel anchor). Contrary to first impressions, unit masonry is more flexible than other building materials and can be revised throughout the entire life cycle of a structure. Even new masonry buildings will move within the first one to two years after construction. Clay expands. Freeze-thaw cycles may lead to rust jacking. Snow load, excessive deflection or foundation movement may affect the structure. Steel members will have a different movement than the masonry they support. Environmental stresses such as ground settlement, nearby trains, flooding, climate changes and earthquakes can also cause movement. It is important to understand that this is all normal, and to design ways to safely accommodate and absorb movement. Also important is to conduct regular inspections and keep the masonry surface clean. We don’t build buildings like we used to. Sometimes that is a good thing. Through preserving older buildings, we are not only being green by reusing materials, but we are also able to incorporate best practices and better maintenance regimens into new designs. Elena Peltsman is marketing director for the MC&MCA, the Minnesota Concrete & Masonry Contractors Association. She can be reached at elenapeltsman@comcast.net. Few projects fall purely into one category.